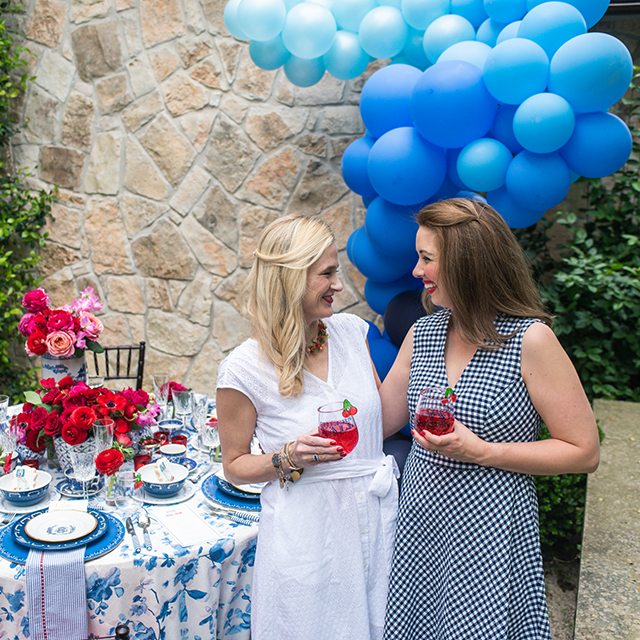 As if we need an excuse to throw a party! Nevertheless, football is as good a reason as any. 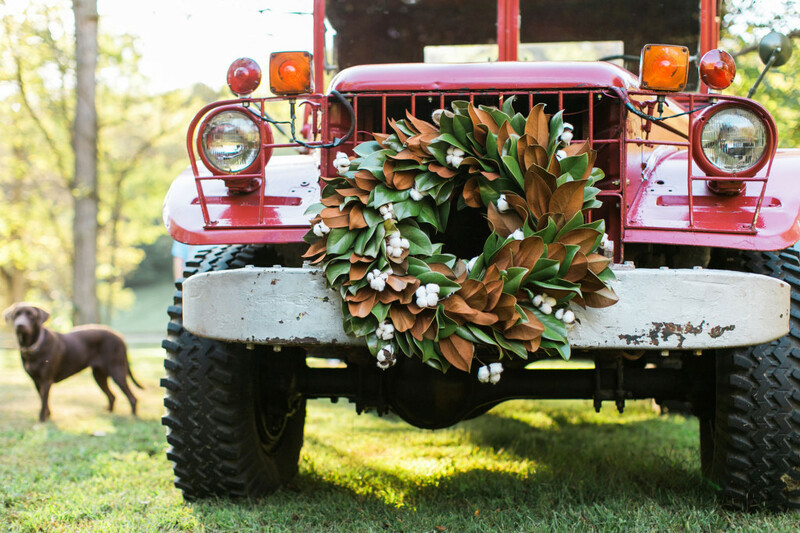 Katie Jacobs, a Nashville-based multi-talent (graphic designer, photographer, stylist, blogger, and more) recently put her enviable creative genius towards throwing a tailgate, Draper- James- style (read: colorful, festive, and replete with good food and great fashion). 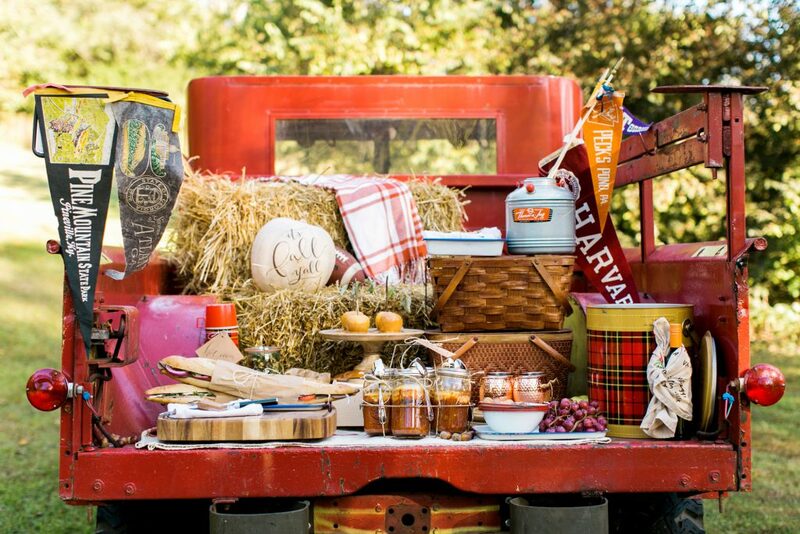 Here, some pics—and Katie’s tips—on designing a gorgeous tailgate that nods (stylishly!) to football’s rich place in American history. And when it comes to personal style, jeans and a plaid shirt are perennial. 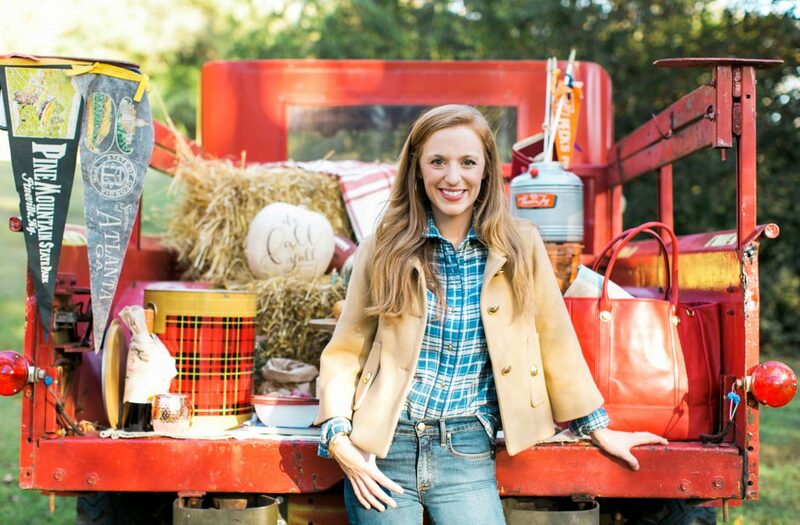 Katie’s wearing our Boone Plaid Button Down Shirt with our Pennington Short Peacoat to keep off the chill. 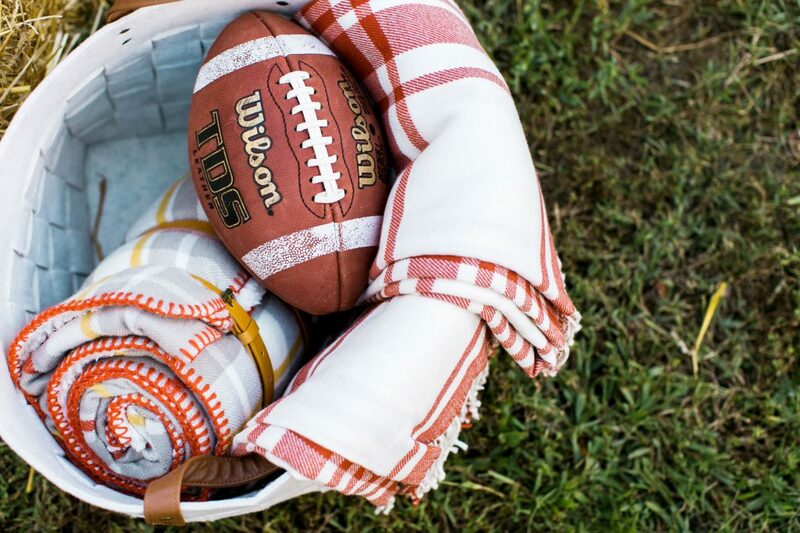 “Plaid blankets serve as warm bleacher capes post-tailgate and during the game,” says Katie. 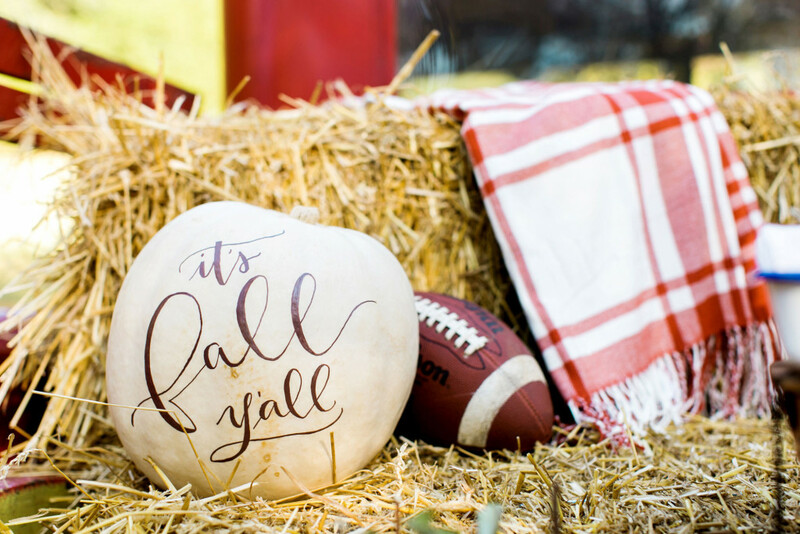 “It’s fall y’all,” says this elegantly calligraphed pumpkin—as does our statement sweatshirt. 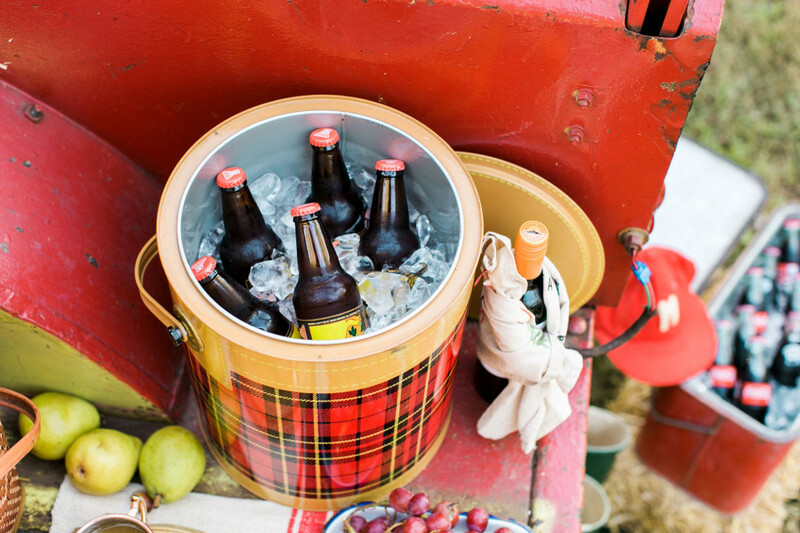 “A retro tartan thermos has both form and function, and it’s lightweight to boot,” Katie says. This one’s filled to the brim with Yazoo Fall Lager, a locally-made craft brew. . . 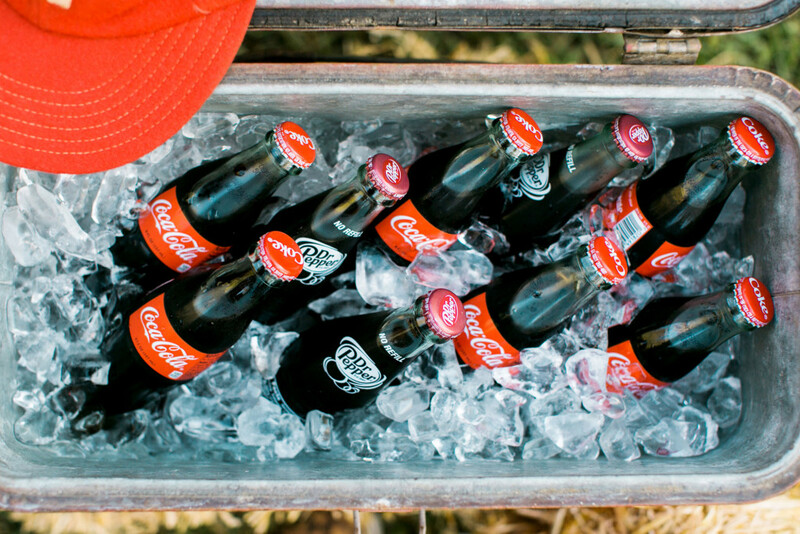 But for those who want to keep things (Coke) classic, a vintage cooler packed with sodas in glass bottles does the trick. 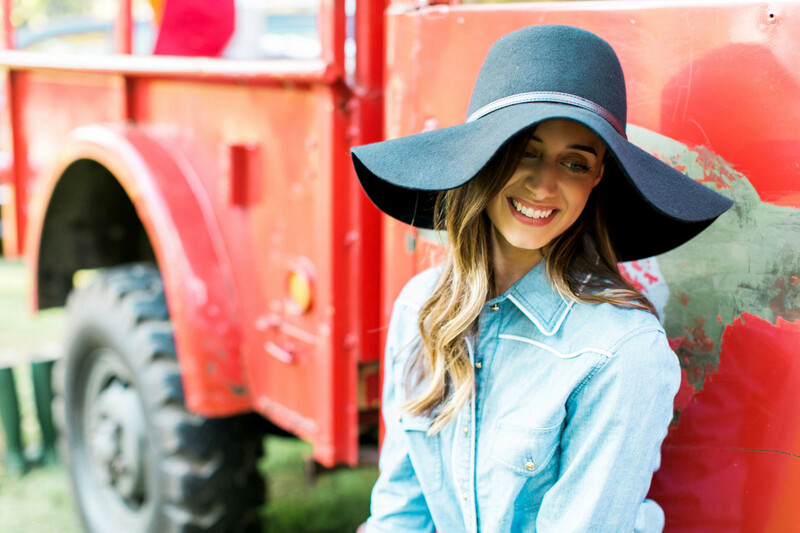 Katie’s pal Sarah Basel shades her skin from the Nashville sun in our Mia Wide Brim Hat by the expert hat makers at Goorin. Bros.
Easy tote-ability is key. Katie recommends plenty of picnic baskets for the food, as well as a roomy tote for all of your personal layers. 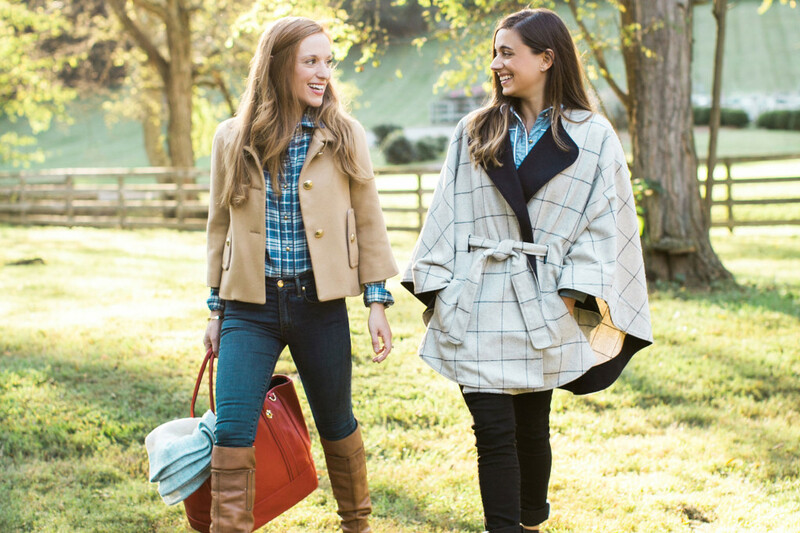 Here, she’s carrying our Leather Cheekwood Bag, while Sarah wears our Georgia Windowpane Cape for a bit of extra warmth as the evening chill sets in. 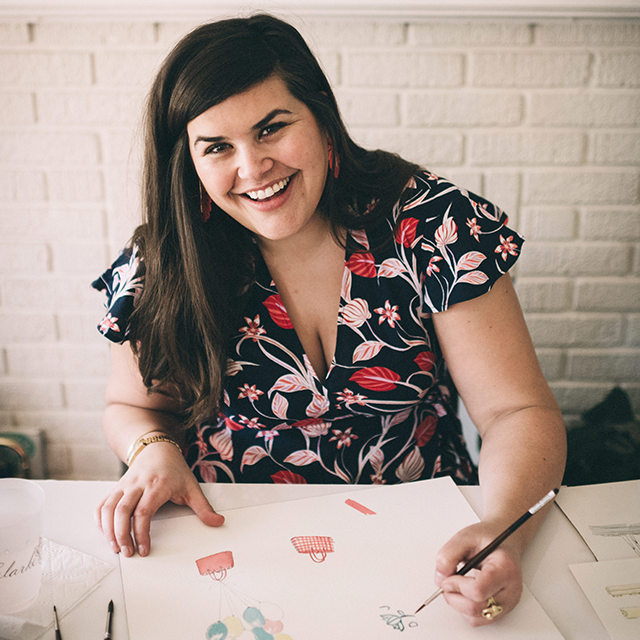 Special thanks to Scarlett Scales and Tin Cottage for vintage props and to Abigail T. Calligraphy for tags and pumpkin calligraphy.